Wildflower Bloom in the Lower Crooked Wild and Scenic River: The Chimney Rock Trail (BLM)......May 10, 2018. 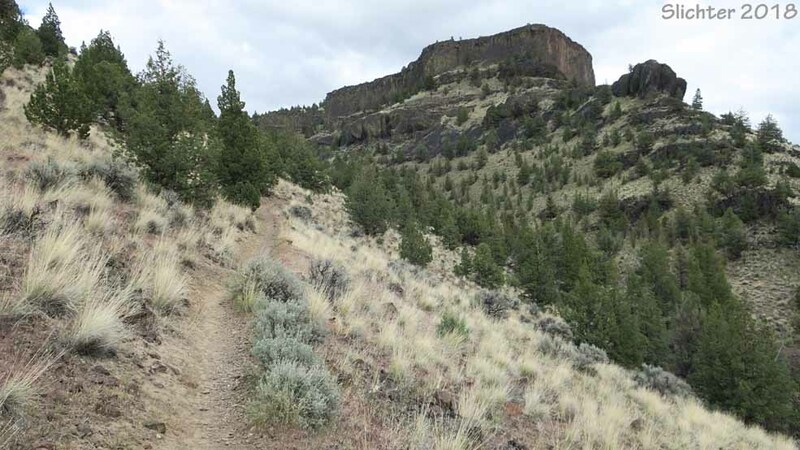 Upper Left: Bunchgrass slopes along the Chimney Rock Trail about a quarter mile from the Chimney Rock trailhead. 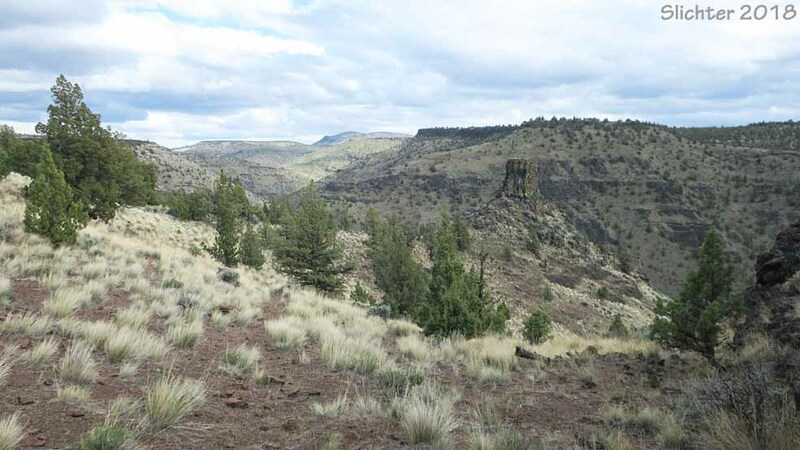 Upper Right: A view down to Chimney Rock and views upstream along the Crooked River from the Chimney Rock Trail. 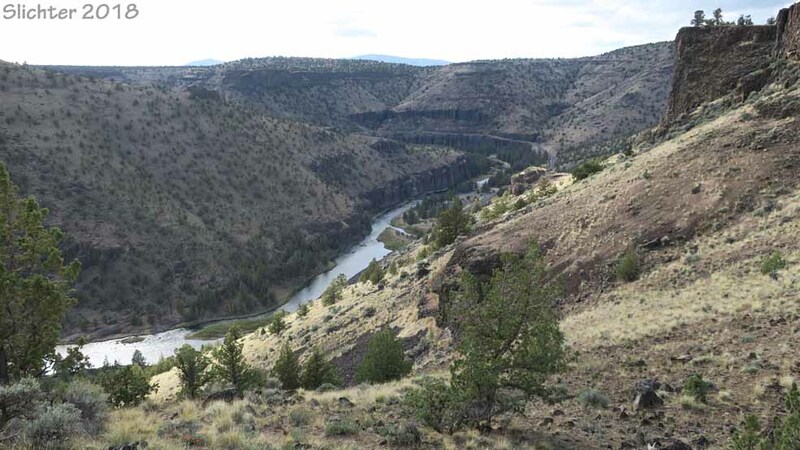 Lower Left: A view upstream along the Crooked River from Chimney Rock. 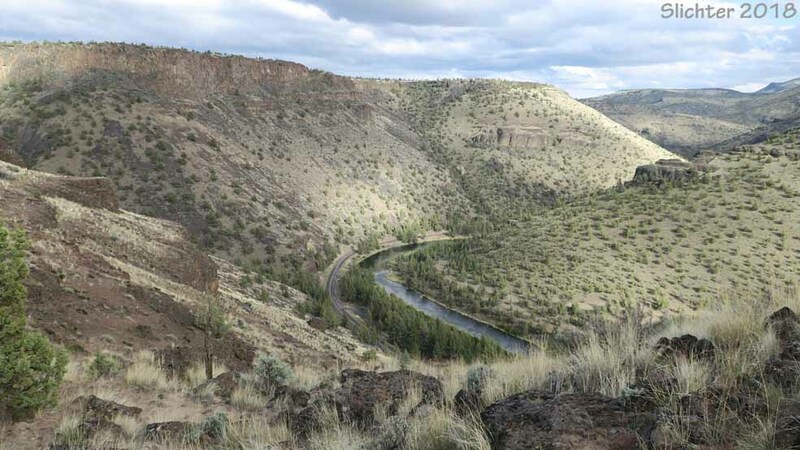 Lower Right: A view downstream (before sunset) along the Crooked River from Chimney Rock. All photos taken along the Chimney Rock Trail, Lower Crooked Wild and Scenic River.......April 24, 2018. Yellow Bells: Fritillaria pudica - Seed pods maturing. Rock Buckwheat: Eriogonum sphaerocephalum var. sphaerocephalum - In bud. Desert Alyssum: Alyssum desertorum - Glabrous fruits. * Western Tansymustard: Descurainia pinnata ? Cutleaf Thelypody: Thelypodium laciniatum - Leaves in the small canyon. Alpine Alumroot: Heuchera cylindrica var. alpina - On north-facing cliffs. * John Day Cinquefoil: Drymocallis campanulata - Beginning to bloom. Freckled Milkvetch: Astragalus lentiginosus (var. ?) - Leaves. * Pauper Milkvetch: Astragalus misellus var. misellus ? - Small. Rare. * Filaree: Erodium cicutarium - Fading out of bloom. Henderson's Desert Parsley: Lomatium hendersonii - Fruits maturing. * Douglas' Phlox: Phlox douglasii ? - Fading out of bloom. Glandular hairs on foliage & sepals. * Threadleaf Phacelia: Phacelia linearis - Beginning to bloom. Lowly Penstemon: Penstemon humilis - In bud. * White Plectritis: Plectritis macrocera - Fading out of bloom. * Yarrow: Achillea millefolium - Beginning to bloom. Rosy Pussytoes: Antennaria pulvinata ? - Only leaves. * Rough Eyelashweed: Blepharipappus scaber - Beginning to bloom. Threadleaf Fleabane: Erigeron filifolius - In bud. * Yellow Desert Daisy: Erigeron linearis - Beginning to bloom. * False Agoseris: Nothocalais troximoides - Beginning to bloom. Woolly Groundsel: Packera cana - In bud.